Learn how to draw with charcoal, pen, and pastel with step-by-step workshops from professional artists. Artist's Drawing Techniques is your guide to every aspect of drawing, from choosing a subject to mounting your finished masterpiece. Follow the workshops that teach you more than 80 artist's techniques, including cross-hatching, stippling, blending, and masking using pencil, charcoal, coloured pencils, and pastels. Develop your artistic style by following step-by-step drawing tutorials through beginner, intermediate, and advanced projects. 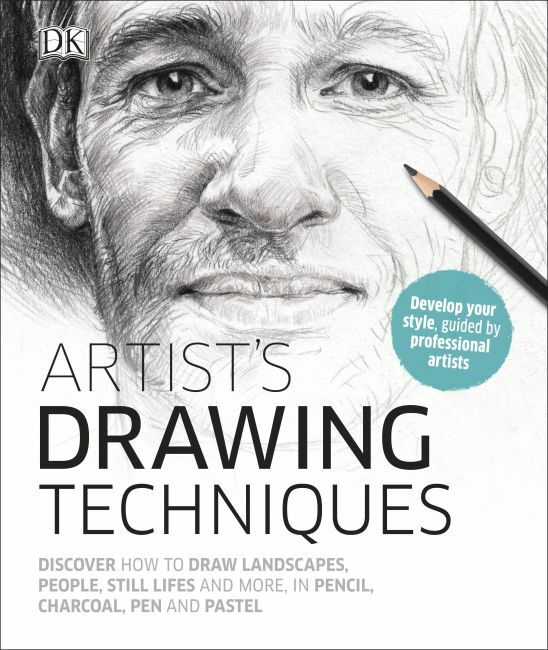 Explore new creative challenges with inspiring exercises and art projects to develop your skills, and study the stunning feature drawings that showcase every artistic technique and show you how that technique can be applied. Artist's Drawing Techniques will help you tap into your creative potential and unlock new talents.